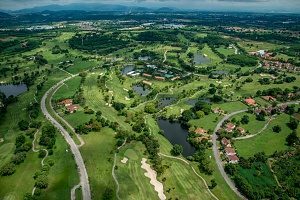 Aerial photography used to require renting a plane, crane, or helicopter along with specialized aerial photography equipment, hiring a team of experts willing to go up in the air and do the photography, risking life and limb and spending lots of time and money trying to get it right. Drones have changed all of that. Drones are affordable and accessible to just about everyone, as is the photography equipment necessary to get stunning shots. Flying a drone is fairly simple and easy to learn. Drones come equipped with the camera and software you need, and you can purchase a decent rig for less than one month’s house payment. In just a short period of time and with some professional training, almost anyone can do their own aerial photography. And many are. The growing drone popularity means increasing risks and need for drone insurance coverage. Realtors and appraisers were among the first to capitalize on drone aerial photography. They use drones for dramatic property tours outside and even inside homes. They identify property lines and capture viewpoints of the property that potential buyers cannot see otherwise. Appraisers are able to easily inspect hard to access areas of the property. Engineers can use drones to inspect the structural integrity of the sides and roof of a tall building. Still other ways to use them is in monitoring land erosion problems and master planning for real estate developments. Risks here abound. The drone can collide with trees, power lines, birds, structures, and trespass by flying over other people’s property. 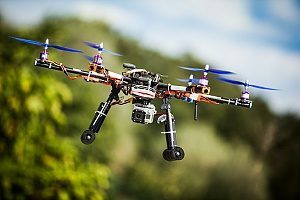 A collision can damage the drone, and damage other people’s property. Many drones now come with software that have anti-collision technology, but that will not prevent a propeller from popping off, sending the drone crashing to the ground. Drone aerial photography is becoming popular to capture dramatic wedding videos. Professionals and amateurs are making aerial videos of the wedding scene and in some cases hovering above the ceremony and documenting the entire scene: congregation, procession, and ceremony. What can possibly go wrong? In one case, a flying drone crashed into the groom’s face as he was staring into his bride’s eyes. The sound of a drone hovering above can sound like a swarm of bees, creating a distraction the wedding couple probably won’t appreciate. Guests may not agree to have themselves caught on film unaware. In the entertainment business, drones are everywhere – literally. They hover above sports venues ready to zoom in on the action. Sometimes the drones are themselves part of the entertainment. Used in high tech light shows, their agility at high speeds is astounding. There have been accidents involving drones inside of sports stadiums. A couple of different times, a drone malfunctioned and fell into the crowd, injuring a few spectators and damaging the drone. Thinking of Starting a Drone Aerial Photography Business? Register your drone with the FAA. Failure to register can cost you a fine as high as $27,500. To fly a drone commercially, you must get approval from the FAA. You will need to apply for the so-called Section 333 Exemption. You will do better using legal representation to help get your application approved. The FAA has a backlog due to the volume of applications. Once approved, you will need to comply with the FAA rules on commercial drone operations. They include adhere to flight height below 400 feet, no flying within three miles of an airport or a landing strip, keep the drone within the pilot’s sight during flight, keep away from National Oceanic and Atmospheric Administration zones and no fly zones, wildlife, buildings, and pedestrians. Become familiar with the state and local laws that may apply to your drone operation and comply with them. Consult with a drone insurance broker and get adequate insurance coverage. 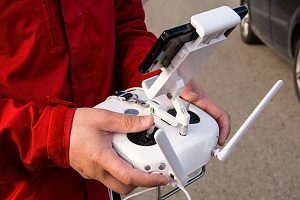 Most businesses will not contract with a drone owner or operator unless they have at least $1 million in drone liability insurance. 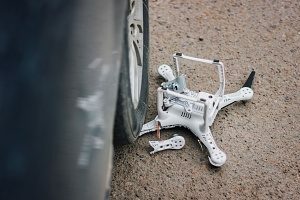 One of the reasons for the FAA rules is the history of drone accidents and the injuries and damage to property that they cause. Accidents are sure to happen. To operate a successful drone business, you need to prove not only that you have the piloting credentials, but also that you are financially responsible. Financial responsibility means drone liability insurance and appropriate coverage for the drone equipment. Drone liability insurance is insurance protection against bodily injury to people and damage to other people’s property. You should also have insurance coverage on your drone, its operating equipment, its photography equipment, and any other payload it may carry. Having the appropriate insurance coverage and adequate amounts of coverage is critical to a successful commercial drone business. To get more information about drone insurance coverage for your business, contact an experienced drone insurance broker. You should be prepared to provide fairly detailed information about your piloting credentials, any formal pilot training and experience you have, information about the drone equipment you will be operating, the nature of the aerial photography business you will be operating, the terrain you will be flying over, whether you own or lease any of the drone equipment, and similar questions about your drone aerial photography business. With a reputable drone insurance broker and adequate coverage, an accident need not ground you.